We currently teach English in schools, in your own home and in your workplace, but we are now excited to offer classes in our new centre in Antiguo. Pay us a visit and get to know us! 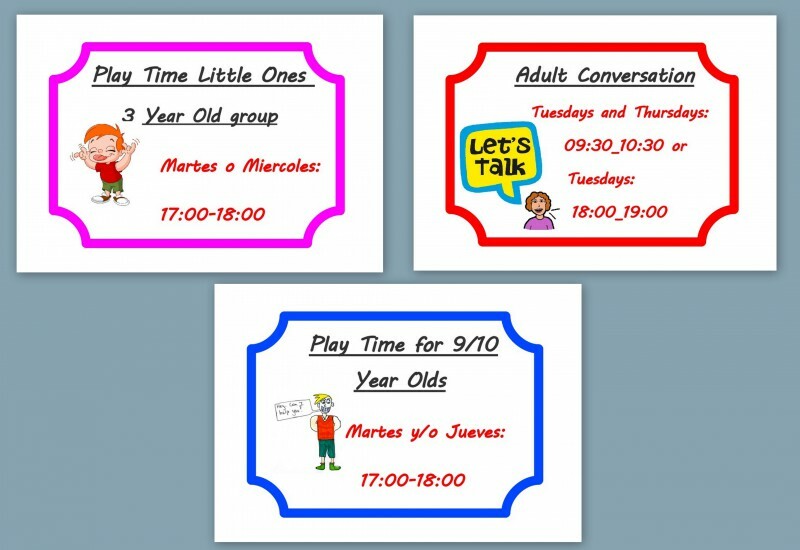 At Play Time we aim to capture the interest of each student, no matter the age, and we work to acheive their highest possible level of English. We offer private classes and also groups that are dynamic and personalised.